The Google doodle reflects Nutan's expressions as a conflicted murderers from "Bandini", anguished untouchable from "Sujata", a hell-raising orphan from "Seema". 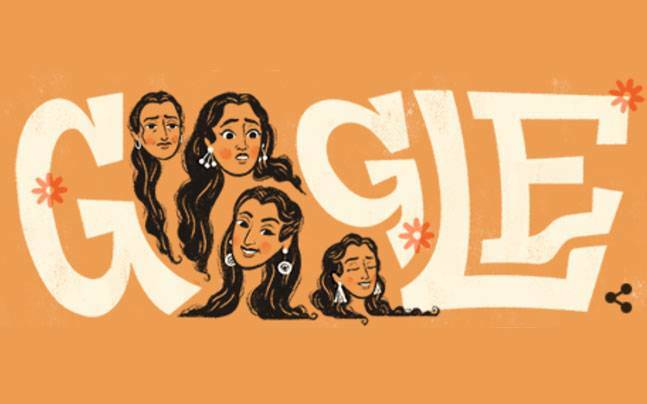 In keeping with its tradition of honoring noted personalities from across the globe, Google dedicated a special 'doodle' this Sunday to one of Bollywood's most revered actresses, Nutan, on the occasion of her 81st birth anniversary. The image reflects her expressions as a conflicted murderers from "Bandini", the anguished untouchable from "Sujata", the hell-raising orphan from "Seema" - all memorable characters played by Nutan, a celebrated Indian film actress known for communicating complex emotions using only facial expressions and body language rather than dialogue, the statement read. Her faces fill up for the "oo" in Google. An icon of Indian cinema for over four decades, Nutan pioneered powerful women-centric films in an age when male actors dominated the silver screen. Over her career, her distinct, groundbreaking style helped solidify an award-winning legacy. She was honored with Padma Shri in 1974 for her contribution to the Arts and a total of six Filmfare Awards, five of which were for Best Actress.